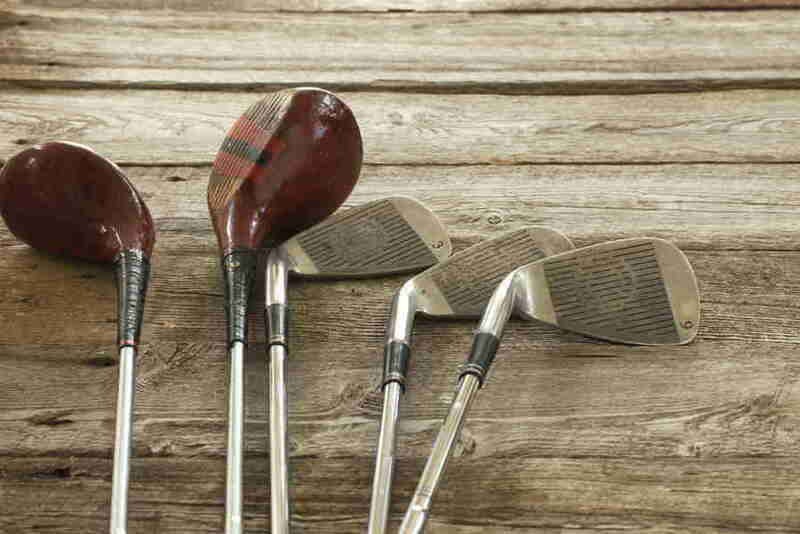 Whether you need an old name for a type of golf club for your morning crossword or you’re just a golf enthusiast wanting to learn as much as possible about the sport, this post will go through all of the known old names for golf clubs. 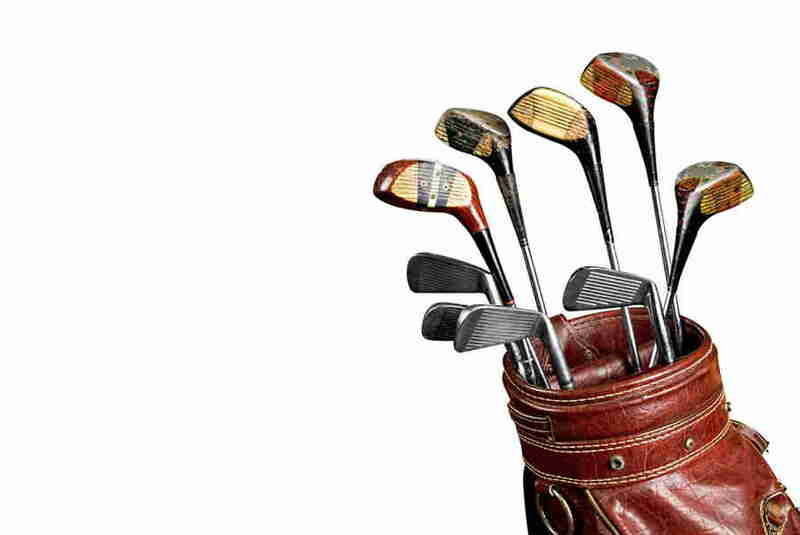 From putters to irons to drivers, these are all the old golf club names ever used. Perhaps the following names shouldn’t come as a surprise in a sport with such unusual nomenclature. After all, hitting a Miss Piggy or pulling a Saddam Hussain aren’t things you can do while playing any other sport. By the way, a Miss Piggy is a shot during which the clubhead hits the turf behind the ball, leading to poor contact, but because of either outside conditions or just pure luck the ball lands on the green. As for the Saddam Hussein, it refers to a shot that takes you from bunker to bunker. Before we jump straight into the list, it’s interesting to note that the game of golf, previously known by such diverse names as goiff, gowfe or golve, originated in Scotland during the High Medieval Period, with King James IV of Scotland becoming the first monarch to partake in the pastime in the 1400s. 1. Grass Club, Long Club, Play Club, Hickory Shafted Driver – these are all obsolete names for a driver, the biggest club in a golfer’s bag. 2. Brassie, Scraper – this is the old name for a type of golf club which most resembles the modern 2-wood, a type of club which rarely finds a place in golfers’ bags nowadays. 3. Long Spoon – the outdated name for 3-wood clubs. 4. Baffie, Baffing Spoon – both old fashioned golf club names for woods with higher lofts than the 3-wood. 5. Middle Spoon, Wooden Cleek – this is what 4-woods were known as before the 19th century. 6. Short Spoon – the modern equivalent of the short spoon would be the 5-wood. The earliest short spoons had clubfaces shaped like, wait for it, spoons. Short spoon clubfaces varied in their degree of concavity mainly due to the fact that golf clubs only started being mass produced during the early 20th century. 7. Wooden Head – this was the name given to a type of old-fashioned golf club which achieved much the same function as modern 7, 8, and 9-woods. 8. Heavy Iron – the archaic name for golf clubs which featured iron clubheads. 9. Cleek – this is probably the most ancient name for a golf club, which most resembles today’s 1 and 2-irons. The first mention of a cleek was used in the mid-15th century. 10. Driving Iron – the 1-iron, now rendered practically obsolete by more forgiving modern clubs, was known by this name until the 19th century. 11. Mid-mashie – this is the previous name for a golf club which corresponds to the modern 3-iron. Interestingly, the word ‘mashie’ comes from the French ‘massue’, meaning club. 12. Mashie Iron – the mashie iron, sometimes shortened to just ‘mashie’, was the name used until the 19th century for a club which most resembled the modern 4-iron in loft. 13. 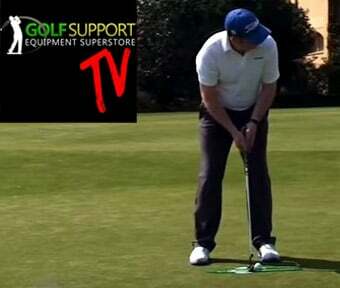 Mashie – this is an old name for a golf club used for approach shots. The modern equivalent of this would be the 5-iron club. 14. Spade Mashie – this is what the 6-iron club used to be called back in the day. 15. Mashie Niblick – this fun moniker was used for a club which was equivalent in use to the modern 7-iron. 16. Pitching Niblick – this is the old way to refer to a golf club which achieved the same function as the modern 8-iron, or short iron. 17. 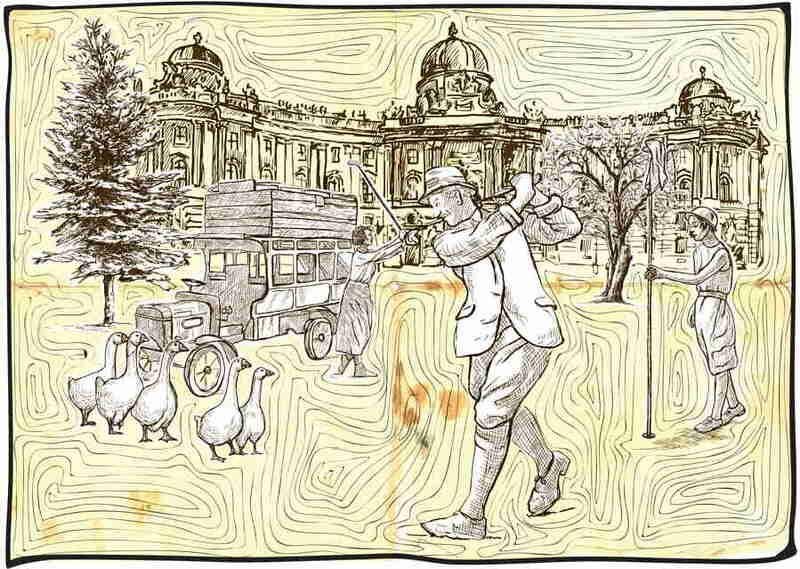 Niblick – the old name for a sort of golf club which corresponds to the 9-irons golfers around the world use nowadays. 18. Sand Iron – as the name suggests, this was the name for a type of club used to hit those tricky bunker shots where the ball is lodged in sand; this is usually the heaviest club in a modern golfer’s bag. 19. Track Iron, Rut Iron, Rutter – All old name for a golf club which was used in much the same way that modern small headed wedges are used by today’s golfers. 20. Jigger – this old golf club name refers to a short-shafted club with low loft which was used in the same way the modern chipper is. 21. Putting Cleek – we’re finally on the green and it’s time to hole this thing. In the olden days golfers would use a putting cleek for shots from the green, however, nowadays we call this club a putter. We hope you enjoyed reading the most comprehensive list of old names for golf clubs on the internet; now you’ll be able to wow everyone else on the golf course with your newly gained esoteric golf knowledge. If your interest in obsolete golf nomenclature was sparked by a pesky crossword, you’ll no doubt find the above list of names useful. Finally, be sure to use modern club names when searching for new golf clubs to add to your collection. And if you’re interested in learning things like how long golf clubs last or how to clean your golf clubs, go ahead and check out our other blog posts.